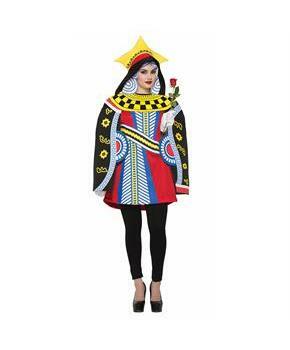 This classic Queen of Cards - Women’s Costume will “suit” you perfectly. This tunic features red fabric and bright colors. A hood and draped sleeves add a royal vibe to the ensemble. Pair with a second one for a matching group theme. 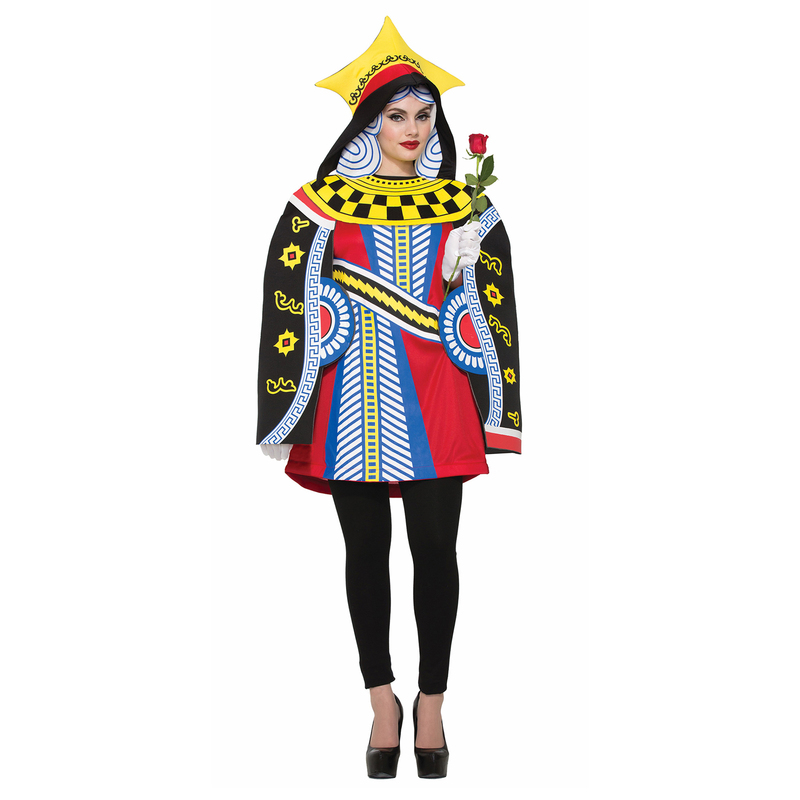 Order women’s costumes and accessories online now.